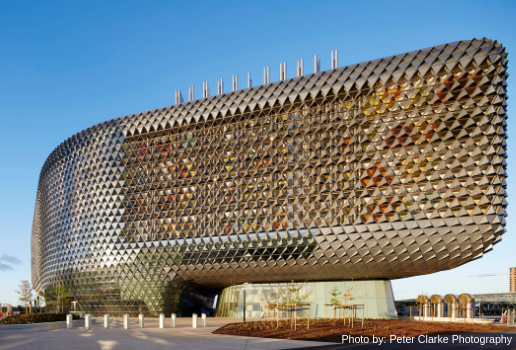 It is with great pleasure that we announce a collaboration between the Childhood Cancer Association and SAHMRI (the South Australian Health and Medical Research Institute), working together to unite researchers and families in the fight against Acute Lymphoblastic Leukaemia (ALL). This new partnership will help to better inform current research practices and support services available for cancer patients. Please watch this space for upcoming events. Elliot was chuffed with his special gift from Chris Picton MP. By repurposing an old post box he had in his electorate office, we now have a beautiful red post box for letters to Elliot. It's already being used, with drawings and letters being posted by Elliot's young friends. 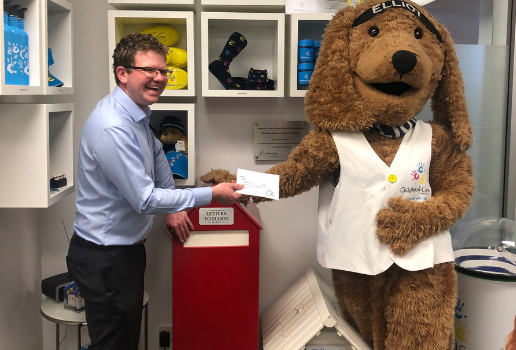 By writing to Elliot, children with cancer and their siblings, can tell Elliot how they're feeling or ask him questions that they may feel uncomfortable asking an adult. Each letter received is sent a reply from 'Elliot'. 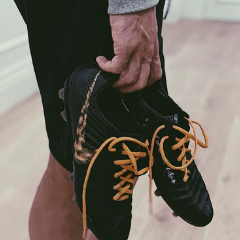 As our ambassador, Travis Boak, former captain of Port Adelaide Football Club, will be wearing gold shoelaces this season to support the 900 Australian children that will be diagnosed with cancer this year. We are excited to announce our new partnership with Elders Real Estate. 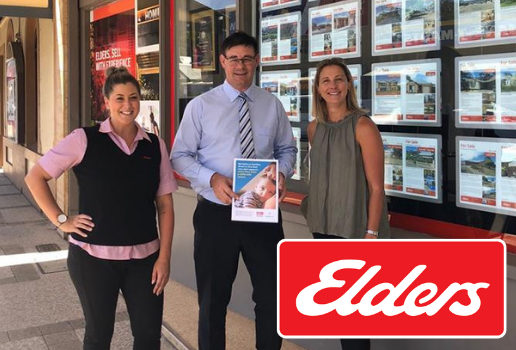 Elders is one of Australia’s most trusted brands, with a long history of working with their clients to achieve the best results, as well as making a difference in the local community. That's why, for every property sold, Elders Real Estate will make a donation to the Childhood Cancer Association, helping us raise much needed funds to support families when they need it most. If you're looking to buy or sell, please consider the Elders Real Estate team. The introduction of an early intervention oncology playgroup last year, in collaboration with Ronald McDonald House Charities SA, is giving young children undergoing cancer treatment the opportunity to attend regular early education sessions. The Childhood Cancer Association’s Family Service Manager, Anna Boynton says the playgroup offers fun, interactive sessions facilitated by a teacher with a Masters of Education. 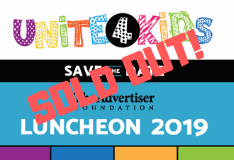 “The playgroup aims to focus on key development areas that may be otherwise behind due to being unable to attend usual preschool settings,” she says. “Parent support and guidance is also available to assist their confidence to help extend their child’s learning while at home. “We’re seeing some fantastic outcomes from the program with improvements to the children’s social skills, language, and self-confidence." 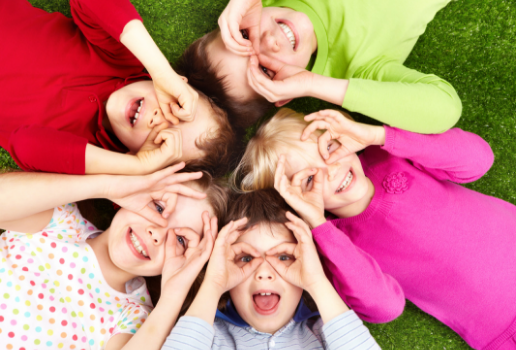 The Playgroup is continuing in 2019, and has expanded to include children aged 2-5 years and it will also be available to siblings who may also be excluded from attending usual education due to their siblings’ illness. We need your help to raise $10,000 this year to meet the demand for this service. 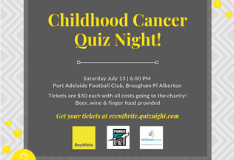 By becoming a regular giver for $40 per month, over one year, you will provide a place for a young child with cancer to attend playgroup each week. 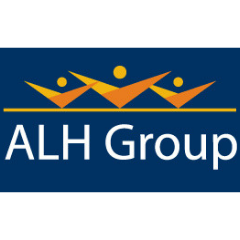 Next time you’re in one of the ALH Group’s 29 licensed venues, keep an eye out for our donation tins and please give generously. 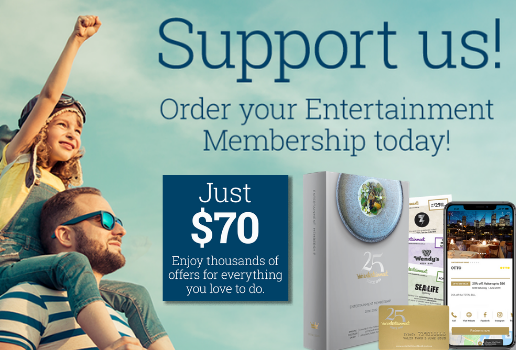 All donations will fund our Family Support Packages. Is it time to Review your Home Loan? 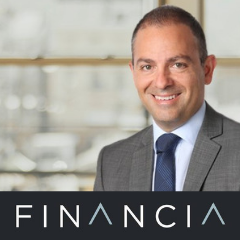 Long-time supporter, Angelo Benedetti, invites you to get in touch to put together the best possible finance package available. 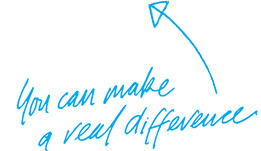 With a $50-$100 donation to childhood cancer for every home loan settled. Copyright © 2018 Childhood Cancer Association. update your preferences or unsubscribe.